Have you been in the following situation? You know every single word in an Arabic sentence, but you don’t have a clue what the sentence is all about? Well, the painful reason is: you don’t understand the grammar. ARABIC FOR NERDS 2 can change that. This 828-page-book aims to transform grammar, a subject hated by many people, into an understandable an enjoyable subject. A Grammar Compendium – 450 Questions about Arabic Grammar. 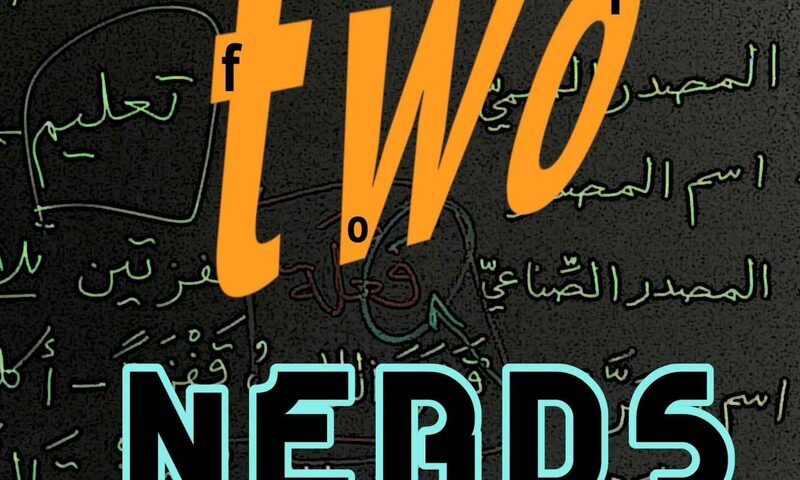 ARABIC FOR NERDS 2 will improve your understanding of written Arabic texts dramatically. It helps you to achieve your final goal: the superior level (C2). 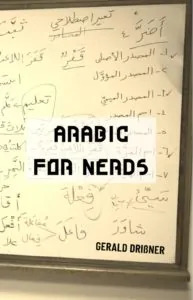 ARABIC FOR NERDS 2 is a grammar compendium. It gives you all the tools that you need to properly analyze any Arabic sentence – no matter if it is taken from a children’s book or the Holy Qur’an. This is not another boring grammar book. 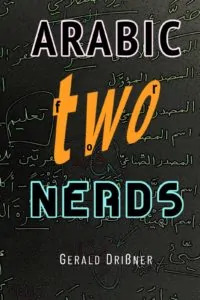 ARABIC FOR NERDS 2 will teach you in an entertaining way how to dissect a sentence, how to identify the function of letters, words, and syntax – in short: the I’rab (إِعْراب). Imagine pushing entire sentences into an MRI machine. After we have examined the structure, we put single words under a microscope. Eventually we will know how sentences work or why they don’t work. and how to avoid common mistakes. Every Arabic sentence is fully vowelled (Tashkeel) and translated into English. It is specifically intended for advanced learners. Price: 25.99$ (softcover), 29.99 $ (hardcover) – note that prices may vary depending on your location. Note that there is no e-book version available as most e-book readers can’t deal with complex tables and Arabic script. 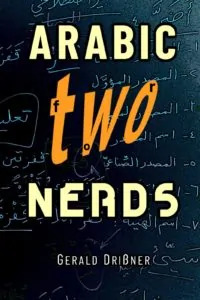 Available at amazon, Barnes & Noble, or your preferred bookshop (just use the ISBN or the name “Arabic for Nerds 2” to get it). Have you considered publishing under the Print Replica method of a kindle book? Could you perhaps upload the full contents pages of this book (and your previous one), either here or on Amazon, so that we can get a better idea of the scope of the book? It is very unhelpful to only have the partial contents visible! Done! You can download two pdfs now on this page. What are the best websites to buy Arabic books?